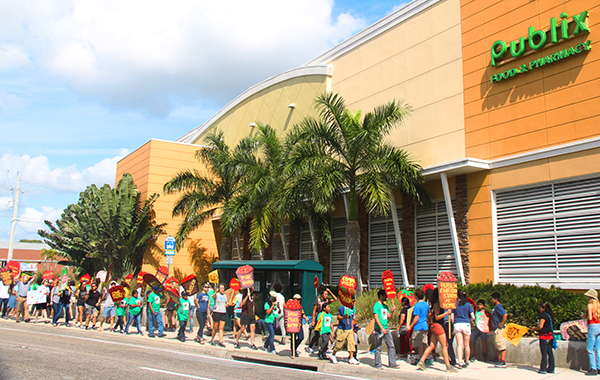 Farmworker families, allies launch series of fall Publix actions with massive protest at Sarasota’s Bay St. Publix, calling on Florida’s grocer to join the Fair Food Program! Last weekend, even as Publix executives up north began to prepare for the upcoming North Carolina Publix Truth Tour, the Southeastern grocer got an earful from its own hometown residents down in Florida! Last Sunday, over 100 allies joined dozens of farmworkers and their families from Immokalee for a colorful protest at Sarasota’s Bay Street Publix. 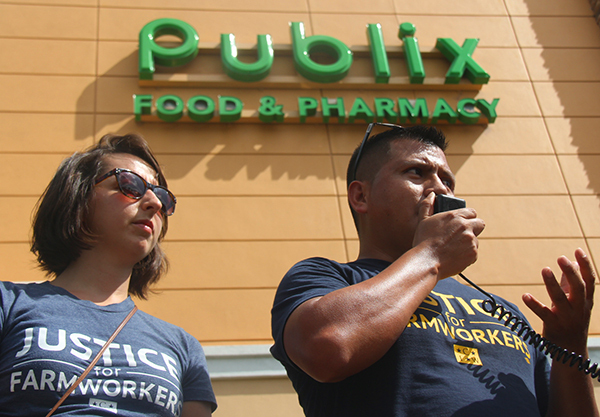 This past Sunday, scores of Sarasota community allies united with farmworker families from Immokalee for a lively picket calling on Publix to end its six-year silence on farmworkers’ human rights, and come to the table with the CIW. They gathered, chanting and cheering and inviting the many passers-by to “honk for justice,” outside of one of Sarasota’s largest Publix stores, prominently located on the well-trafficked intersection of U.S. 41 and Bay St.
Sarasota’s 5th annual Eat Local Week, in honor and celebration of local food, farming, and farmwork, partnered with the CIW to put together this energetic protest. As part of this weeklong event, the action was preceded by a screening of the award-winning documentary Food Chains where dozens of food-conscious Sarasotans learned — many for the first time — of the CIW’s pathbreaking work for justice in the fields! Led by the CIW, the colorful protest was bolstered by the participation of allies from across Sarasota and central Florida – including representatives from Transition Sarasota, students at New College of Florida, University of South Florida, and Hillsborough Community College all the way in Tampa, as well as congregants at St. Thomas More Catholic Church, Sarasota Quaker Meeting, and Temple Beth Israel. After nearly an hour of protest, the crowd gathered to hear reports from the delegation to Publix executives. Publix representatives stood in silence, even as they heard loud and clear what Florida farmworkers want and deserve: justice and an authentic commitment to addressing the structural poverty and exploitation embedded in U.S. agriculture for too long – not piecemeal charity. Allies reminded the supermarket executives that, even as the Florida-based company continues to ignore farmworkers’ call for justice, more and more of Publix’s supermarket peers, including Ahold USA and Walmart, have come on board. Sarasota’s energy served as an inspiring send-off for the members of the CIW embarking this week upon the 13-day North Carolina Publix Truth Tour, generating consciousness and commitment to the movement for dignity and respect in the fields within communities across the Tarheel State. The CIW is in North Carolina as Publix expands its market into this state to make sure that North Carolinian consumers know about the company’s complicity in the poverty and exploitation of workers which, outside of the scope of the Fair Food Program, continues to characterize the U.S. agricultural industry. 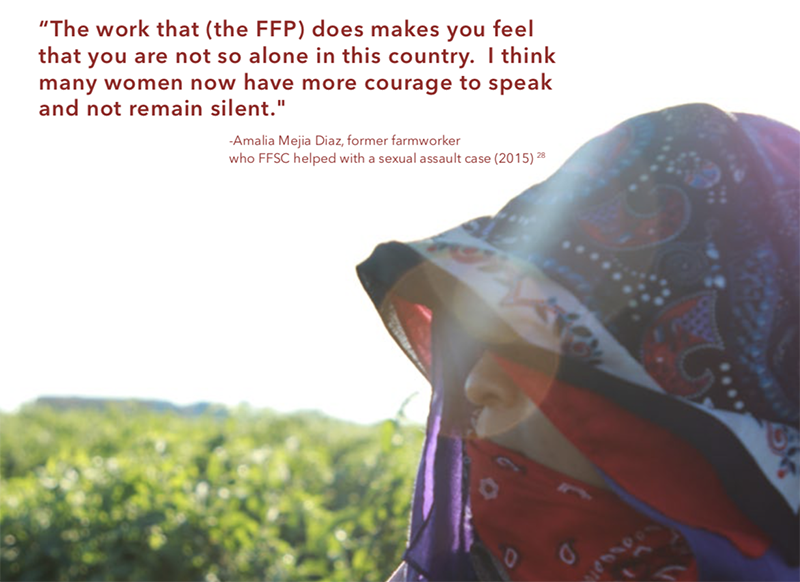 Florida’s farm workers perform hard labor for low wages to provide fresh produce for the public; but they also face verbal and physical abuse, sexual harassment and forced labor on the job. 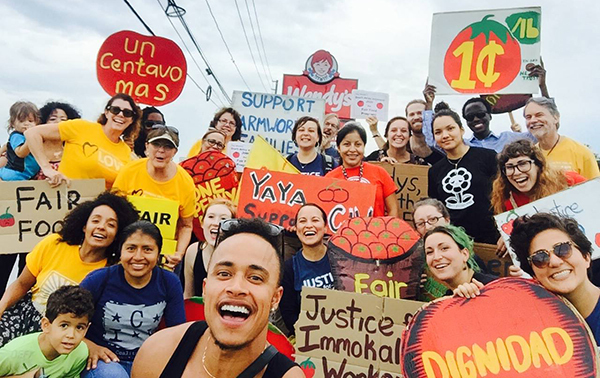 The Youth and Young Adult Network of the National Farm Worker Ministry has been protesting outside of local stores, such as Wendy’s and Publix, to not only bring their plight to the attention of the public, but also to get these companies to agree to a partnership that makes life better for those who put food on the nation’s tables. The working conditions and wages of those working in the Florida tomato fields is not a recent issue, however. 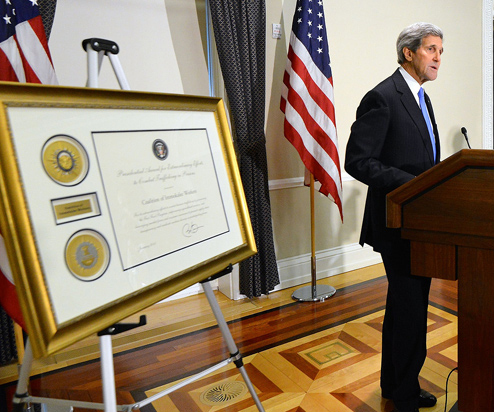 The matter was first brought to light in Edward R. Murrow’s 1960 CBS television documentary Harvest of Shame. 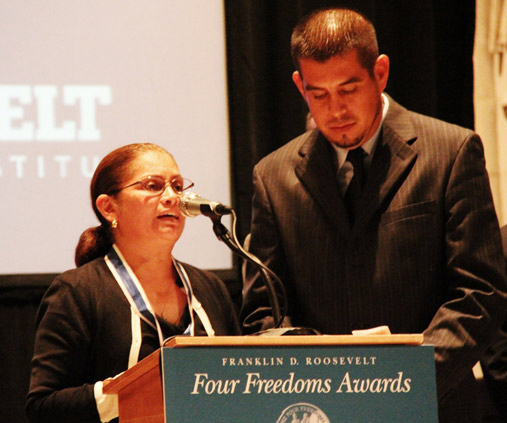 The nation was outraged of how the workers were treated then, and the Coalition of Immokalee Workers, a human rights organization that YAYA-NFWM works closely with, is still working to improve the conditions today. Immokalee is one of the major centers of tomato growing in the United States and the birth of the CIW when it began in 1993. 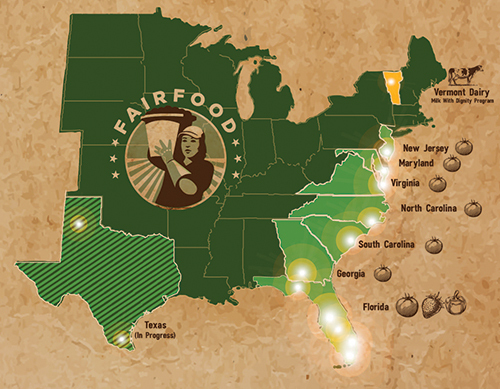 Since then, it introduced the Fair Food Program in 2011, a partnership with retail produce buyers including Subway, Walmart and McDonalds that holds growers accountable to provide workers a fair wage and basic human rights. 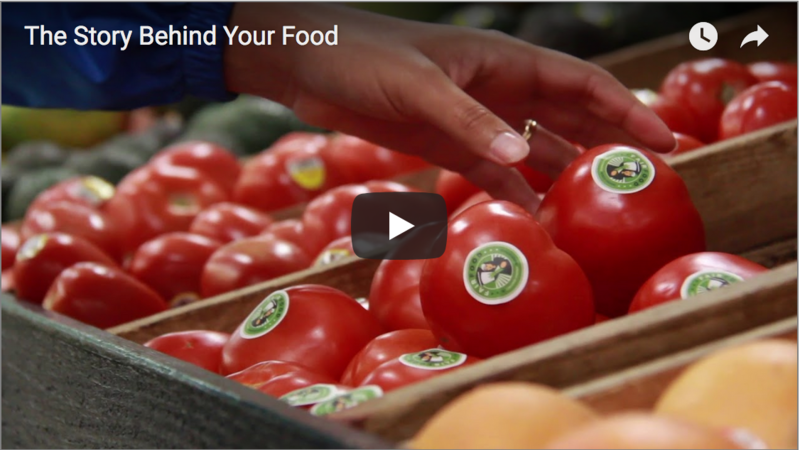 By opting into the Fair Food Program, a buyer agrees to adhere to the Fair Food Code of Conduct, which agrees to pay growers a $0.01 per pound premium on tomatoes that the growers pass on to the workers. Despite $20 million in Fair Food premiums being paid into the program from January 2011 to October 2015, the average farmworker’s salary ranges from $15,000 to $17,499, according to the National Agricultural Workers Survey. 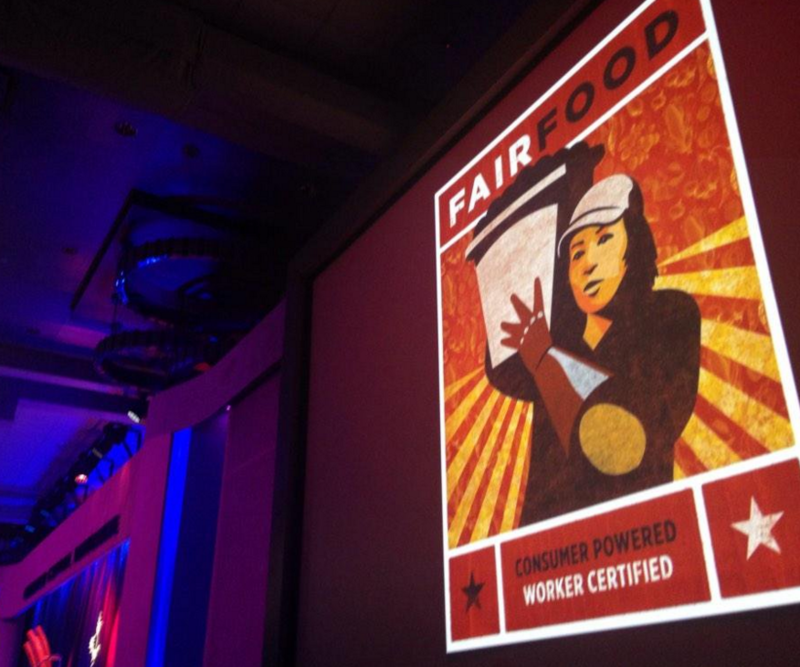 For such reason, organizations such as YAYA and CIW are continuing to fight for the rights of these farmworkers. Other rights for workers under the Fair Food Code of Conduct include zero tolerance for forced labor, verbal or physical abuse, sexual harassment, and the right to safe working conditions. Carlos Guillermo, a UCF alumnus and current candidate for the Florida House of Representatives, agrees with YAYA’s initiatives. Although the program has educated more than 20,000 workers face-to-face and has reached more than 100,000 through written and video materials, according to the Fair Food Standards, some companies, including Wendy’s and Publix, still refuse to sign on to the program. 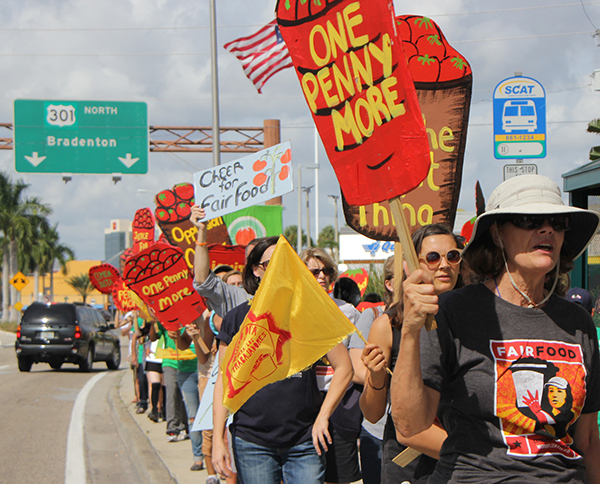 Both Wendy’s and Publix have seen protests from CIW-affiliated organizations, including one by YAYA outside of the Wendy’s on University Boulevard and Rouse Road on Sept. 28., outside their establishments. Although Wendy’s did not allow its employees to accept a letter from YAYA urging them to join, UCF alumnus and Florida YAYA state coordinator Nico Gumbs said the local manager seemed receptive. Although Wendy’s still has not agreed to the program, that won’t stop YAYA from continuing fighting for the rights of farmworkers. They are planning a picket at Publix Nov. 21 and will be posting the exact location and time on their website. Gumbs urges people to participate and insists that this is a cause worth fighting for. And this is only the beginning for Fall 2015. 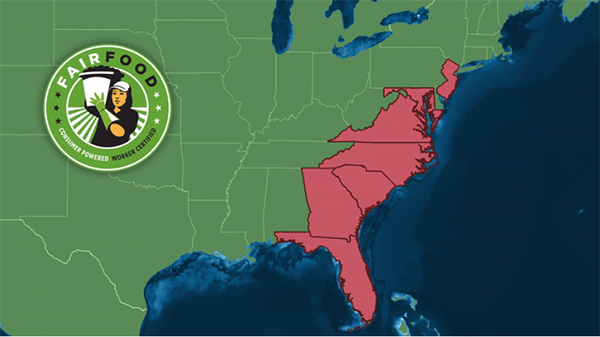 As we speak, CIW members and allies are making their way across the state of North Carolina for a series of protests, screenings, and presentations, and even more members of the Fair Food Nation are gearing up for the Weekend of Action on November 21st. Check back soon for more on this month’s series of high-spirited actions and calls for justice from the Fair Food Nation — and stay tuned for how you can join in!